Sony says its new handheld will be free of region encoding. Even though common wisdom holds that Nintendo is the king of the handheld gaming market with the massive success of its DS system, Sony is certainly breathing down the neck of its rival. The PSP didn't make a critical splash when it debuted in Japan in 2004, but with numbers released last week, Sony claims the PSP and its variants have quietly sold 71.4 million units worldwide. With the price-cut and lackluster sales of Nintendo's 3DS, Sony is poised to capture a share of the handheld market with the release of the PlayStation Vita this December. Sony seems set to succeed exactly where Nintendo failed, by announcing a strong list of launch titles and, now, confirming that the Vita will not be restricted by region, allowing gamers in other territories the freedom to import games and devices directly from Japan. Back at E3, Michael Denny from Sony Worldwide Studios Europe believed the PS Vita was going to be region-free but he shied from absolutely confirming or denying that fact. The Vita is region-free "to the best of my knowledge," he said. But today someone higher on the Sony food chain, Sony Worldwide Studios President Shuhei Yoshida, confirmed via Twitter that the Vita does indeed have no region encoding. A Sony fan only known as Ryan or @lonelypessimist on Twitter beseeched Yoshida for a confirmation to which the executive replied a resounding yes. "Is it confirmed yet if vita is region free?" Ryan asked. "Yes, it is," Yoshida replied. The news is even more important for those of us outside of the island nation because release dates for other territories have yet to be announced. 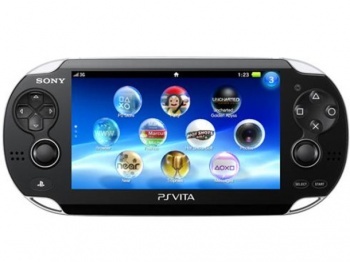 The PS Vita will be available in Japan on December 17th, 2011.